The mini deluxe patient belt is manufactured in a quilted polyester fabric with a non-slip inner lining and a clunk click buckle. It features a variety of grab handles for ease of use. 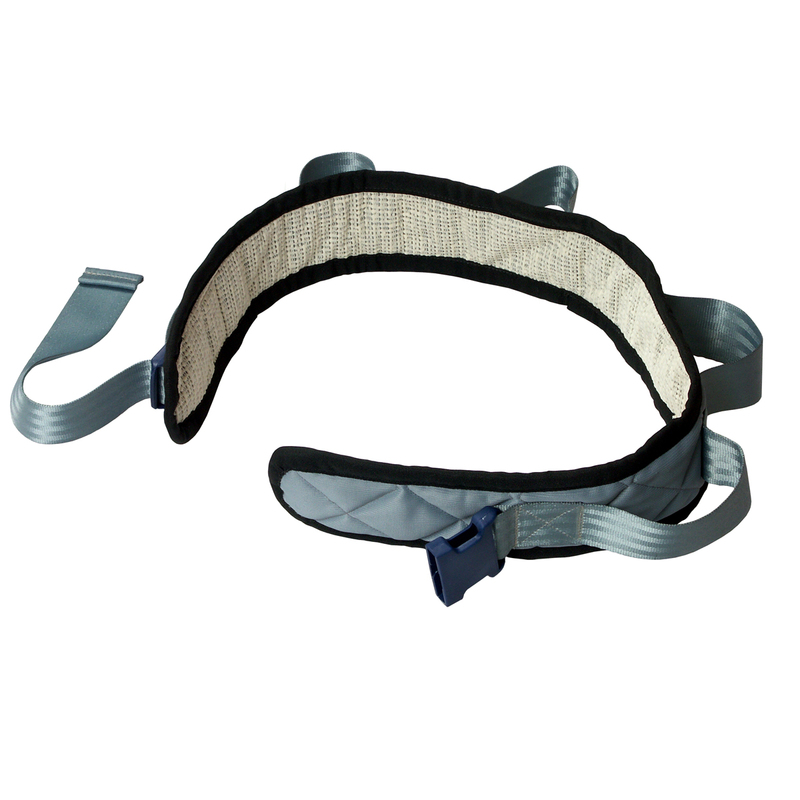 Handling belts are used as an alternative to holding the users clothing or body whilst standing or walking. Handling belts can be used when assisting with standing from a chair or bed and for general walking transfers. The user must be able to maintain and support their own weight when using this product. It must not be used as a standing or lifting aid.